Today's stock market is not for the faint of heart. At a time of frightening volatility, what is the average investor to do? The answer: turn to Burton G. Malkiel's advice in his reassuring, authoritative, gimmick-free, and perennially best-selling guide to investing. 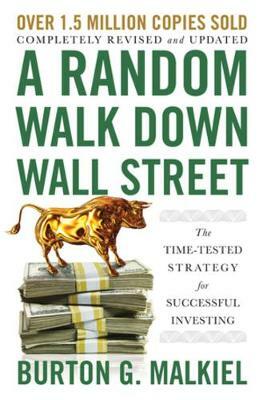 Long established as the first book to purchase before starting a portfolio or 401(k), A Random Walk Down Wall Street now features new material on tax-loss harvesting, the crown jewel of tax management; the current bitcoin bubble; and automated investment advisers; as well as a brand-new chapter on factor investing and risk parity. And as always, Malkiel's core insights-on stocks and bonds, as well as real estate investment trusts, home ownership, and tangible assets like gold and collectibles- along with the book's classic life-cycle guide to investing, will help restore confidence and composure to anyone seeking a calm route through today's financial markets.